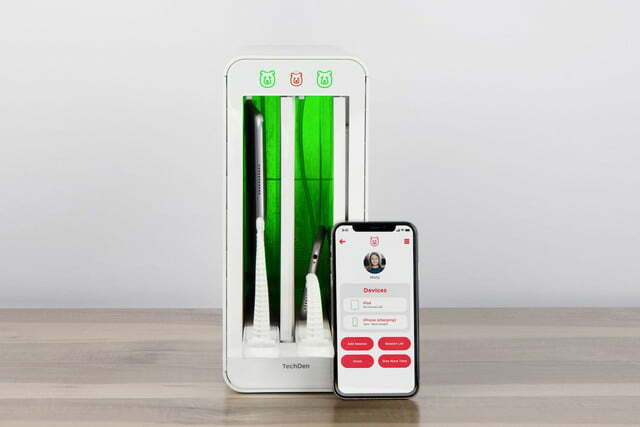 At an in-person demo with The Den, we couldn’t help but think that it looked like a much sleeker version of a computer tower. 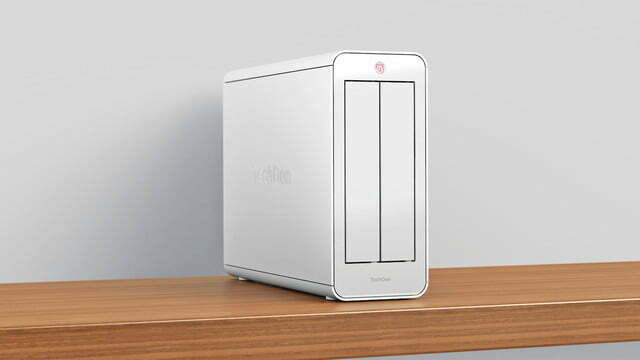 On the front, are two doors that fold in when it’s unlocked and on the top is TechDen’s signature bear logo in red. But it’s also not an eye-sore, and we actually wouldn’t mind keeping it on our kitchen counter or tucked away on the entertainment center. Perhaps one of the most ideal parts of the hardware is that it simultaneously charges devices as well — with lightning and micro-USB cables available. 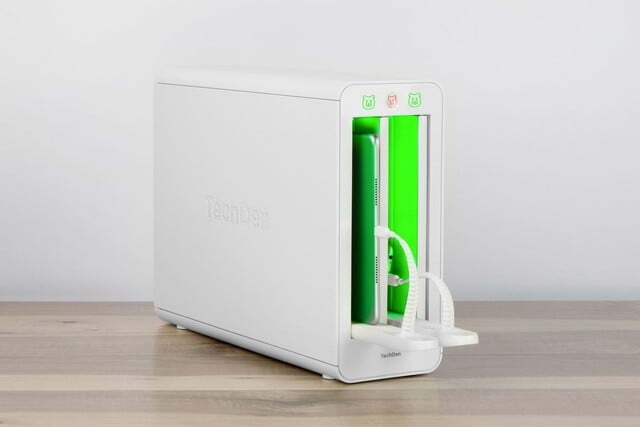 When a session is over, kids can plug their devices back in and place them back into The Den which will then lock again until the next session. As promised, AMD now provides a new batch of Ryzen Threadripper desktop processors for enthusiasts based on its refreshed Zen design. Leading this second wave is the 32-core chip AMD teased in June during Computex that uses the same TR4 motherboard socket seating as the first-generation Threadripper chips but consumes a bit more power than the former flagship model. “With the second-gen AMD Ryzen Threadripper 2990WX and 2970WX processors, AMD adds the new Ryzen Threadripper WX Series above the existing Ryzen Threadripper X Series processors, meeting creators’ demands for the ultimate desktop computing power for the most intense workloads,” the company states. AMD’s newest flagship chip for enthusiasts, the 2990WX, packs 32 cores with a base speed of 3.0GHz and a maximum speed of 4.2GHz. It also packs 64 threads, 64MB of L3 cache and supports 64 PCI Express 3.0 lanes. It’s the first chip in AMD’s new Threadripper 2 quartet to hit the market, costing a hefty $1,800 when it rips onto shelves August 13. Following the 2990WX will be the 2950X 16-core desktop processor on August 31. At half the price ($900), this chip will have a base speed of 3.5GHz and a maximum speed of 4.4GHz. It will have 32 threads, 32MB of L3 cache, support 64 PCI Express 3.0 lanes and consume a lower 180 watts of power. AMD won’t release its remaining set of Threadripper 2 processors until sometime in October. The 2970WX will be a 24-core chip costing $1,300 with a base speed of 3.0GHz and a maximum speed of 4.2GHz. Drawing 250 watts of power, the chip will pack 48 lanes, 64MB of L3 cache and support 64 PCI Express 3.0 lanes. Rounding out the foursome will be the 2920X 12-core chip costing $650. Packing 24 threads and 32MB of L3 cache, it will have a base speed of 3.5GHz and a maximum speed of 4.3GHz. Like the 2950X arriving August 31, this chip will only consume 180 watts of power when it arrives this October. The new 2950X and 2920X processors essentially replace AMD’s first-generation 1950X and 1920X Ryzen Threadripper chips released in 2017. By comparison, the 2950X increases the base speed by 100MHz and the maximum speed by 400MHz. Meanwhile, the 2920X doesn’t increase the base speed over its predecessor but provides a 300MHz boost in its maximum speed. According to AMD, the second-generation Ryzen Threadripper processors can be air-cooled by the new Wraith Ripper now available from CoolerMaster. The new Threadrippers work on all existing and new TR4-based motherboards with the X399 chipset manufactured by ASRock, Asus, Gigabyte, MSI, and more. You can pre-order the 32-core 2990WX chip now from participating retailers listed here. 2018’s tech release schedule has seen some of the world’s most advanced smart devices ever, with brand-new processing power, gorgeous screens, and utterly sublime cameras. But the year isn’t over yet, and Samsung still has some big announcements to make at its upcoming Galaxy Unpacked event in Brooklyn, New York. The whole tech world will be watching as Samsung takes the wraps off its surprises, but what about you? If you’re eagerly awaiting a device you’re sure Samsung will be showing off, you might want to watch the reveal first-hand. But what’s the best way to watch the event? Finding livestreams at the last moment can be tricky and exhausting — but don’t worry, we’ve done the hard work and found the sites you’ll need to keep an eye on to watch this year’s biggest tech event. Here’s how to watch Samsung Galaxy Unpacked 2018. There’s no sense rushing off to watch a livestream if you don’t have an idea of what might be announced, so what can you expect at Samsung’s August 2018 Galaxy Unpacked event? We’ve broken down the possibilities in our what to expect at Galaxy Unpacked post in detail, but as a brief overview, we’re expecting that the long-awaited Galaxy Note 9 will be in attendance for sure, with the Note 8‘s successor taking up a large portion of the show. A new Samsung wearable, tentatively named the Galaxy Watch, is also rumored, as is a lower-powered smartphone powered by Google’s Android Go operating system. Finally, updates to both the Gear IconX earbuds and the Gear Fit 2 Pro may also be on the cards, as both of those devices are long overdue for an update. We had previously thought that the Galaxy Tab S4 would make its debut at this event, only for Samsung to prove us wrong by introducing it weeks earlier. Does that mean Samsung is leaving room for other, less expected devices? You’ll have to tune into find out first-hand. Samsung’s Galaxy Unpacked event kicks off on August 9 at 11 a.m. ET, and it’s best to expect the event to take a few hours at the very least. Samsung likes to show off, and with a device as big as the Note 9 likely being revealed, you can be sure they’re going to take their sweet time showing it off. You’ll be able to watch the event live from Samsung’s Galaxy Unpacked website, as well as a livestream on Samsung’s official YouTube account. If you miss the action, or just want to replay a certain part, we’ll have the official replay posted up here and in our play-by-play article, too. If you’re not able to watch it live for whatever reason, you can still keep an eye on the action and get regular updates by having some Twitter feeds open. Samsung’s official Twitter account will be a good source, and you can keep an eye on our Digital Trends account for regular updates on the announcements. We’ll also have people on the ground at Galaxy Unpacked 2018, and they’ll be the absolute best sources for reveal reactions and hands-on experience. 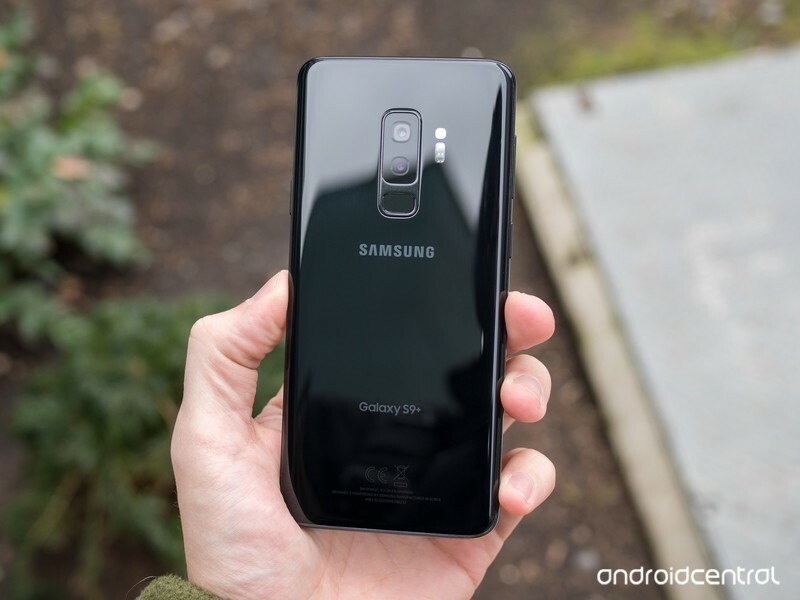 If you want to see our latest reactions to the best new devices from Samsung, make sure to follow Jeremy Kaplan, Julian Chokkattu, Brenda Stolyar, Steven Winkelman, and DT Mobile for the low-down on the latest Samsung devices. Everyone loves new features, and Android gets new ones every year when it’s time for a new version. In 2018, that means Android Pie and there are a handful of new great things to check out on top of the changes that make Android more efficient and easier for developers to build applications. 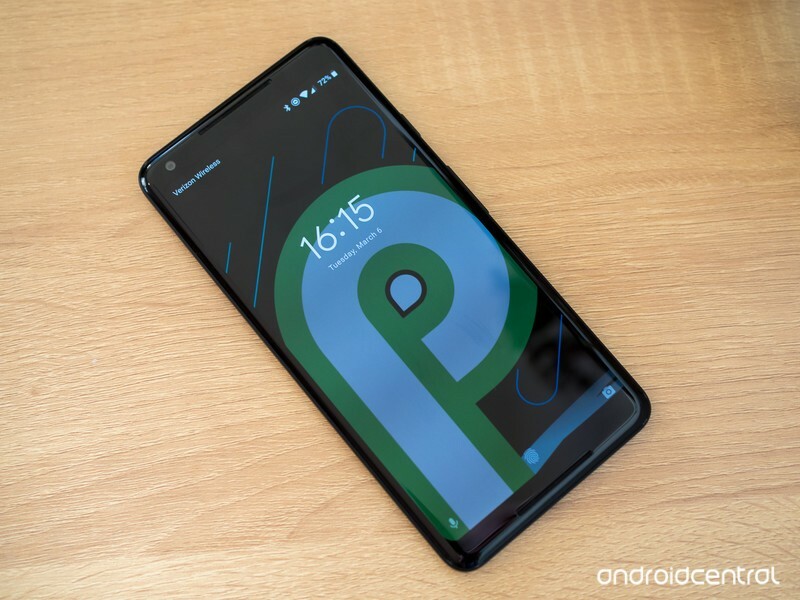 We’ve picked out the best of these new features that you can look forward to having once your phone gets updated or you buy a new model running Android Pie. The first thing you’ll notice is that the clock is now on the left side so things can be symmetrical around a notch. Developers will also be able to change the status bar height automatically based on how far the notch protrudes into the display area. this should eliminate the letterbox effect. If an app is designed for full-screen display the developers can define an area where a notch would be so that nothing important is placed there. For developers who don’t have phones with notches for testing purposes, they can simulate one on their display using Android’s developer tools. These changes are more important than they sound. HDR VP9 and HEIF are becoming popular and without support, your phone wouldn’t be able to display anything using either. More importantly, you wouldn’t know why nothing was being displayed and need to troubleshoot on your own. That’s not a good experience, so we’re really glad to see them supported. 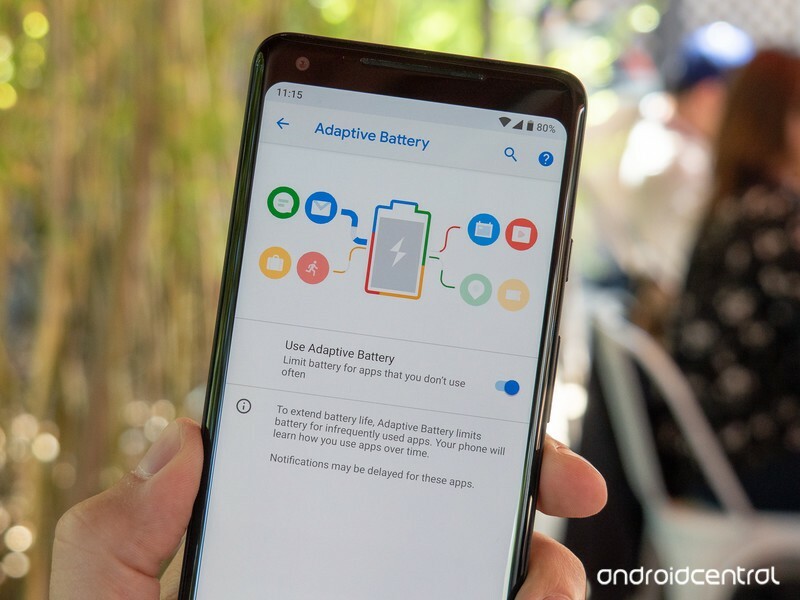 Adaptive Battery learns how and when you use the apps you use and can make adjustments that keep them from eating away at your battery when you aren’t looking at them. Android apps have multiple components that often run in the background and doing things that way can cause the processor and network to be active when you don’t need it to be. When the system notices it can step in and manage an app for you it will prompt you, and if you say yes that app won’t do anything you don’t absolutely need it to do until you open it again. Added with the Adaptive Brightness feature, this means a substantial stretching of the time between charges. API stands for Application Programming Interface and what this means is that devices with two cameras will now have both be supported by the standard Android camera tools developers use. That means any camera app can support all two-camera setups and you aren’t forced to use the included camera app with your phone. These APIs include features like zoom, portrait/bokeh, and 3D stereo vision as well as the current Android camera functions. This will help developers get their apps working well on devices with multiple cameras, and allow them to build one version that works with every phone. That means you’ll see your favorite app get updated to support your two-camera phone much, much faster. Android Pie introduces support for “more informative” notifications. We see improvements to notifications with every new Android release. That’s understandable, as Android’s notifications are one of its strong points and we see their influence in other operating systems, both mobile and on the desktop. That happens when you build something great. With every new set of features also comes the wait for developers to update their apps to include them. Sometimes they “just work” and other times some of them will work, but usually to get the full extent an app will need to be updated. 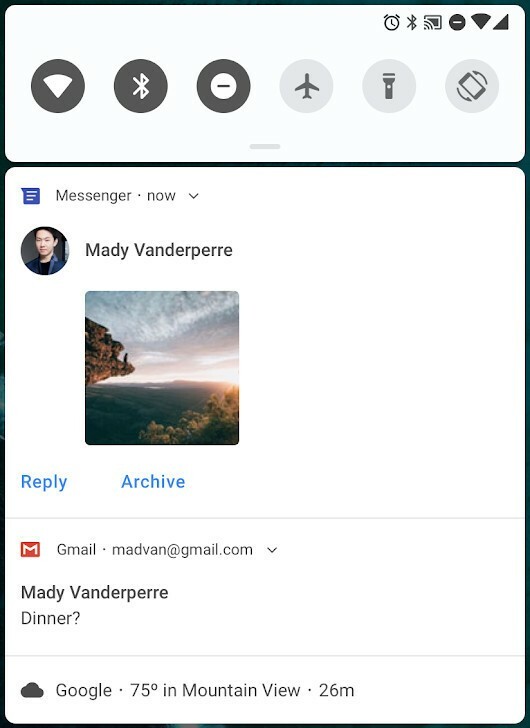 Changes in notifications for Android Pie are no different. 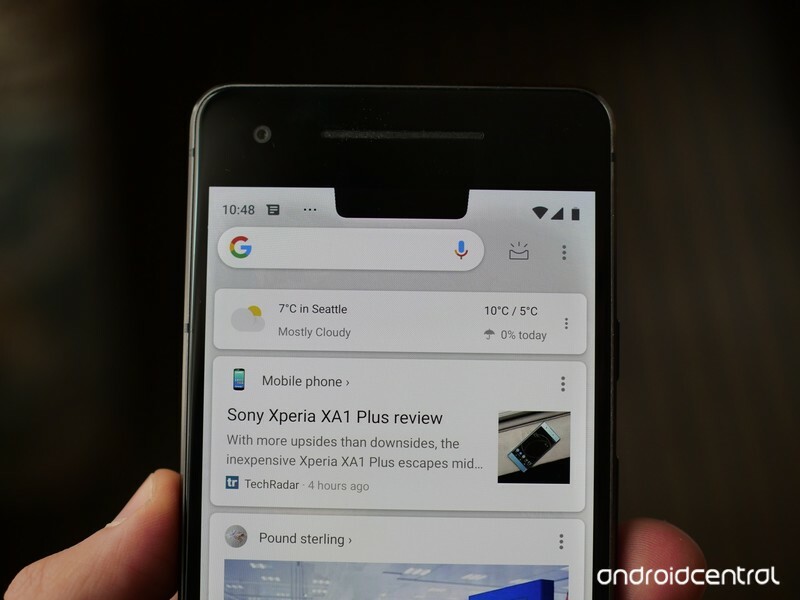 Android Pie has a new way to control how the display rotates, and it’s great! There are also some changes to Google’s interface on the Pixel line. 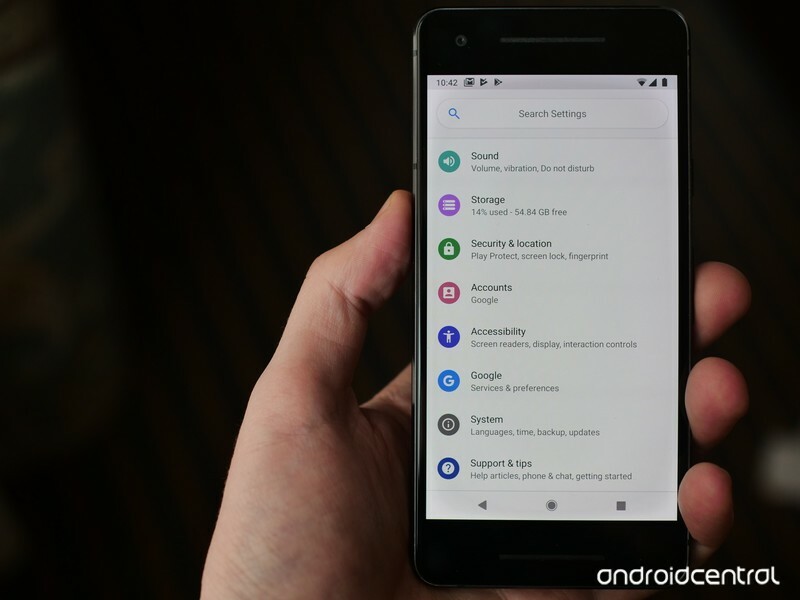 These changes can be incorporated into the user interface by other companies but aren’t required as they aren’t part of the core Android system. 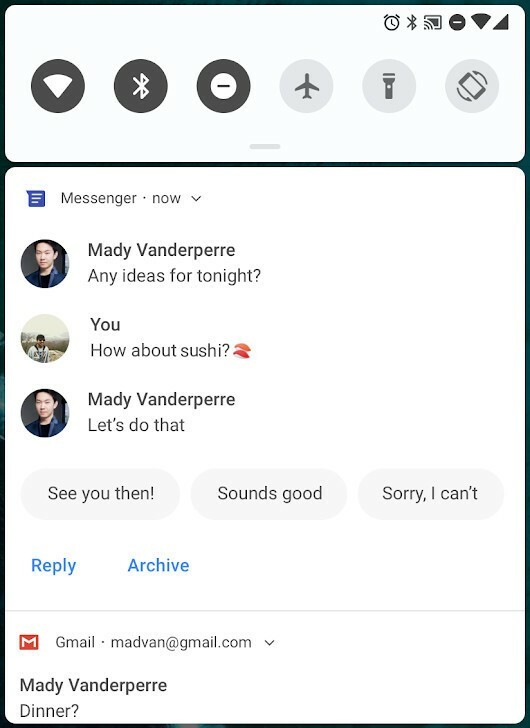 On the Pixel phones, we’ll see things like a new volume slider widget that appears on the side instead of the top when you press a volume key, a more colorful settings menu, and a revised layout for Quick settings. As we see every year with a new version of Android, most of the new features have one thing in common — they need developers to update their apps to include them. This can be frustrating because it takes so long for most phones to get updated. Developers have to prioritize their time, and when the bulk of phones are running an older version of Android, supporting those phones is the priority. Any changes that introduce new features have to be written with backward compatibility in mind so the user-base doesn’t have a poor experience. Because of this, many of your favorite apps will take a while to get updated with the features you want to see. That’s better than breaking an app for billions of other phones, though. Eventually, the most popular apps will receive an update to support what’s new and everyone is happy. Available now for the Pixel, Pixel 2, and Essential Phone. After months of beta testing, yesterday saw Google officially announce the name of Android 9 (Pie) and roll out the new update to all Pixel and Pixel 2 owners. 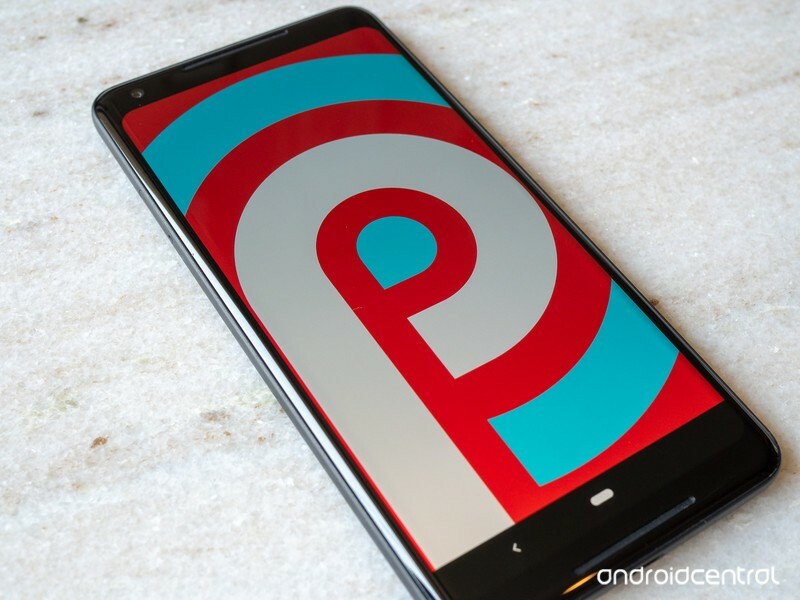 Essential also managed to push the Pie update to Essential Phone owners on the very same day, and we’ll likely hear from other OEMs that were in the Beta Program about their update plans in the near future. It’s still early days for Pie, but looking through the AC forums, it would appear that a lot of our members are already rocking the all-new software. Getting ready to download. I’m on Verizon if anyone cares. Same here. 47MB coming from DP5. Installing now! Got mine at about noon local time today after mashing the update button 3 or 4 times. Unlocked Pixel 2 XL running on Verizon. It looks a little Samsungy in the UI but I’ll get used to it pretty quickly. I’m interested to try the gestures and see if I like them. What about you? Have you downloaded Android Pie yet? The cult classic from Double Fine is back! Here’s what you need to know about Psychonauts 2. The Game Awards may celebrate the incredible accomplishments of the industry every year, but its show in 2015 captured the attention of fans for a different reason, and it started with an unexpected trailer. Because of the enthusiasm of Psychonauts’ fans, Double Fine Productions announced a sequel to the cult classic platformer. 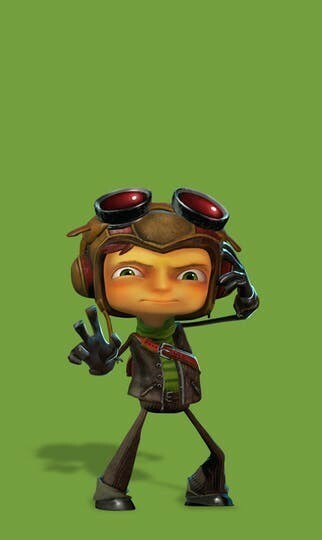 There was a slight catch though: the studio needed a little help from fans to make Psychonauts 2 a reality. 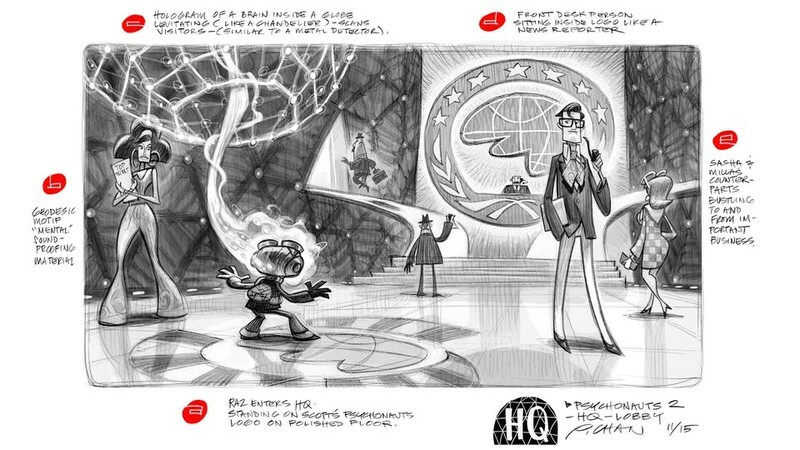 Following Razputin “Raz” Aquato, Psychonauts was set in a fictional government training facility under the guise of being the Whispering Rock Psychic Summer Camp. Raz gets caught up with the Psychonauts, a group of characters that are gifted with psychic abilities like telekinesis among several others. What unfolds is a tale that would make most go, “how do they even come up with this stuff?” Like a few classic cartoons, Psychonauts definitely has the vibe of being created under a drug-induced trip. After learning of a plot to harvest the brains of other Psychonauts to create a psychic-powered army, Raz delves into his friends’ minds to free them of his enemy’s clutches. The end of the game sees the Psychonauts—Raz included—rushing off to save the leader of the Psychonauts, who has been kidnapped. Last year, Double Fine released Psychonauts the Rhombus of Ruin, a virtual reality game developed for PlayStation VR, Oculus Rift, and HTC Vive. Rhombus of Ruin picks up where Psychonauts left off and follows Raz’s journey to save Grand Head of the Psychonauts Truman Zanotto. Psychonauts the Rhombus of Ruin was meant to act as a bridge between the first and second game’s narratives, but so far Double Fine has been pretty tight lipped about Psychonauts 2’s narrative, aside from a few tidbits of information. Instead of taking the usual approach and crowdfunding the game through Kickstarter, Double Fine did something slightly different. The studio chose to create its own crowdfunding platform known as Fig, where a fan’s investment can earn them exclusive rewards and even shares from a game’s sales. 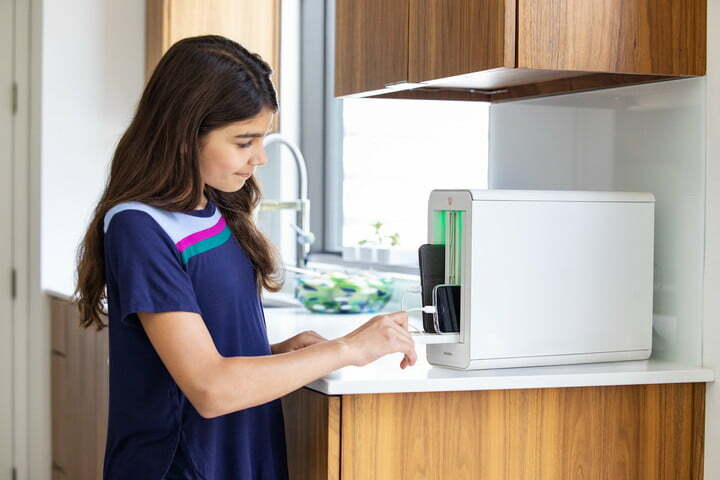 With the goal of raising $3.3 million to fund development, over 24,000 backers pledged towards the campaign to raise over $3.8 million in total a month after it was announced. But even with this success, the game was far from being a reality. Once again controlling Raz, players will use several of his new psi-powers to explore the minds of others and take on its 3D platforming challenges. We don’t know what its levels will contain yet, but rest assured they’ll likely be just as eccentric as those in the first. Dubbed the First Playable, the gameplay seen in the video above is an early look at what Psychonauts 2 will end up being. Commonly referred to as a “vertical slice,” this is an area created to fully test the game with all of its assets working together. 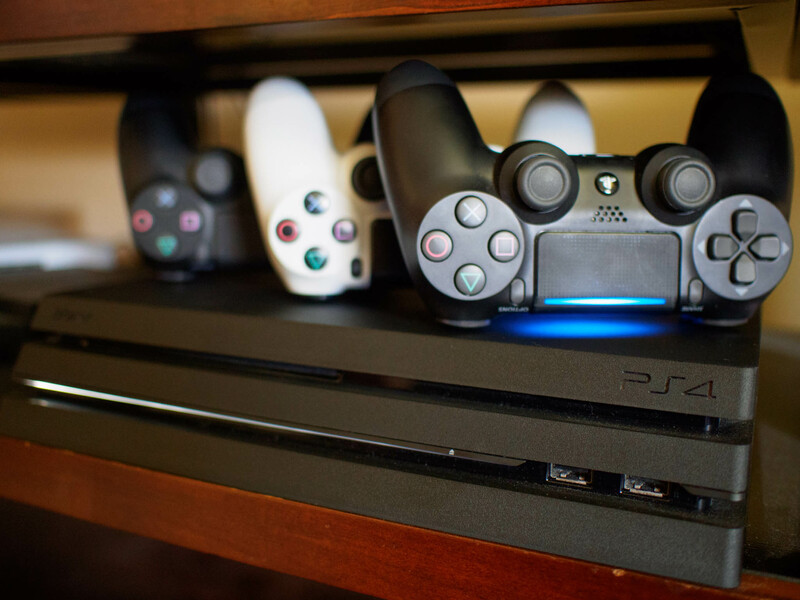 These include art, animation, tech, design, cinematics, and more. This way the team can view a playable chunk of gameplay as intended in the final product, aside from any tweaks that will come along during the development process. The First Playable isn’t meant as an advertisement for fans so much as it is for the development team themselves. Double Fine gets to view everything working harmoniously to see what needs to be adjusted as they continue to develop and iterate towards the end goal. This isn’t a polished build by any means. As for its art style, Psychonauts 2 is more of the same. It’s retaining the series’ aesthetic while modernizing its visuals for a release on current-gen platforms. You’re still getting the cartoony stylized graphics, they’ll just be sleeker at a higher resolution with better texture quality. Currently Psychonauts 2 doesn’t have a firm release date other than sometime after this year, which is about as vague as you can get. The only way to pre-order Psychonauts 2 right now is through Fig. By pledging $39, you can get a digital copy of Psychonauts 2 on Windows, Mac, or Linux via Steam. For an extra $18 on top of that, you can also get a digital download for PlayStation 4 or Xbox One. And if you want to shell out some more cash, you can choose higher tiers to receive extra rewards and content. Double Fine notes that the $39 will be less than retail price when it launches on Steam, so it’s likely that it will end up costing a full $60 once it finally releases. Chromebooks are taking over, and Microsoft’s new Surface Go aims to halt that. When a company makes a computer “for schools” these days, what that really means is that product is positioned to compete with Chromebooks. 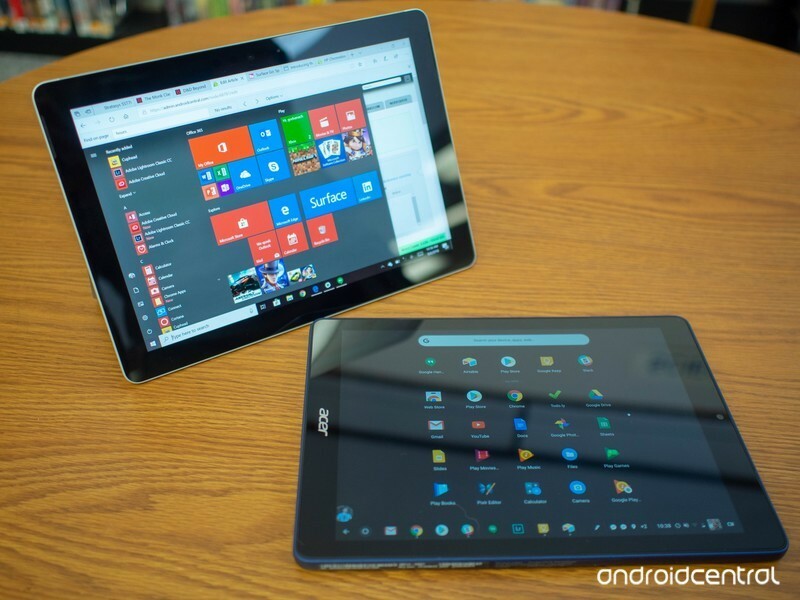 Google’s lightweight OS and the inexpensive hardware it tends to live in has been largely responsible for the first reals signs of growth the standard PC market has seen over the last two years, due in no small part to the popularity of these products in school settings. 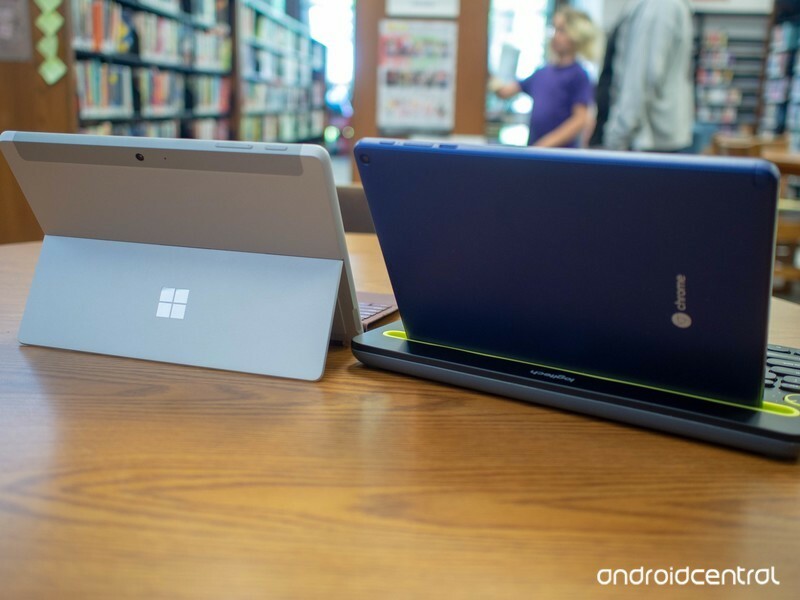 Earlier this year we saw Apple try to appeal directly to this market with a less expensive iPad packed with educational software, and now it appears Microsoft is going the same route with its new Surface Go tablet. Microsoft’s Surface line has always been exceptional, but you pay for the privilege of owning something this nice and that makes buying a dozen for a classroom a little complicated. 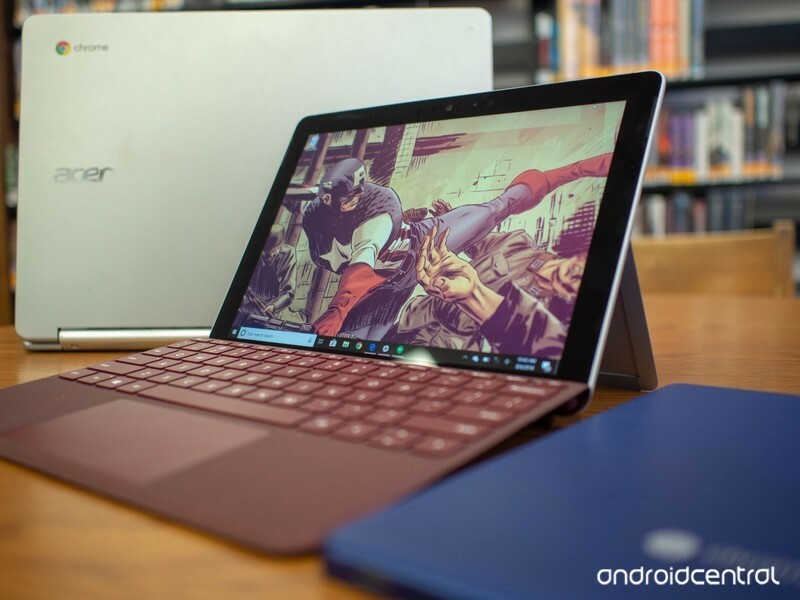 With the base model Surface Go launching at $399, Microsoft is hoping it will appeal to this market. But how does this experience stack up against a Chromebook? Let’s take a look! 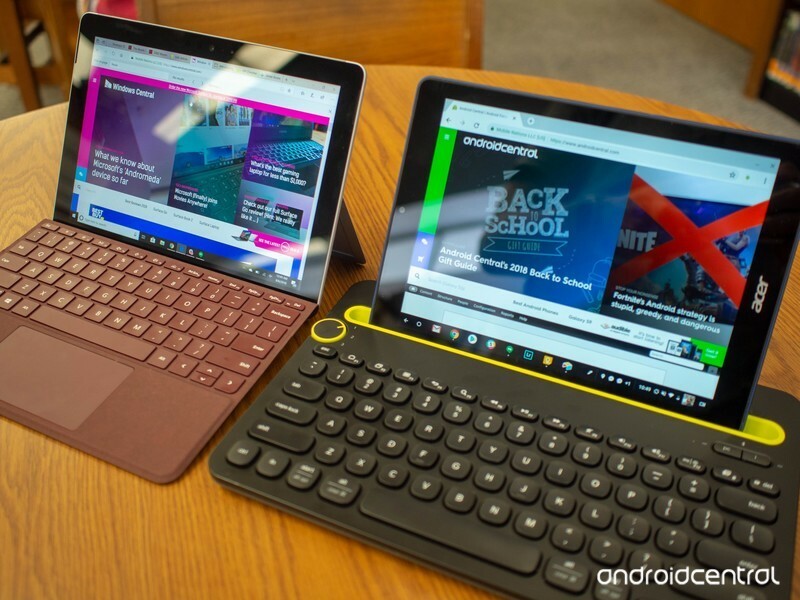 If you’ve never used a Surface before, the build quality of a Surface Go will surprise you. In fact, even if you have a used a Surface before the build quality of a Surface Go will surprise you. This is a well-built machine, complete with a sturdy feel and stylishly polished edges. The back hinge is better than ever, allowing me to prop up on my lap or on a table at just about any angle. The power and volume buttons on the top of the tablet are rigid, with a satisfying click as you press them in. On the right side, you have the magnetic Surface charging port, a USB-C port, and a headphone jack. Across the bottom, you’ll find the magnetic connectors for the keyboard cover, which does not come included in the $399 price tag. 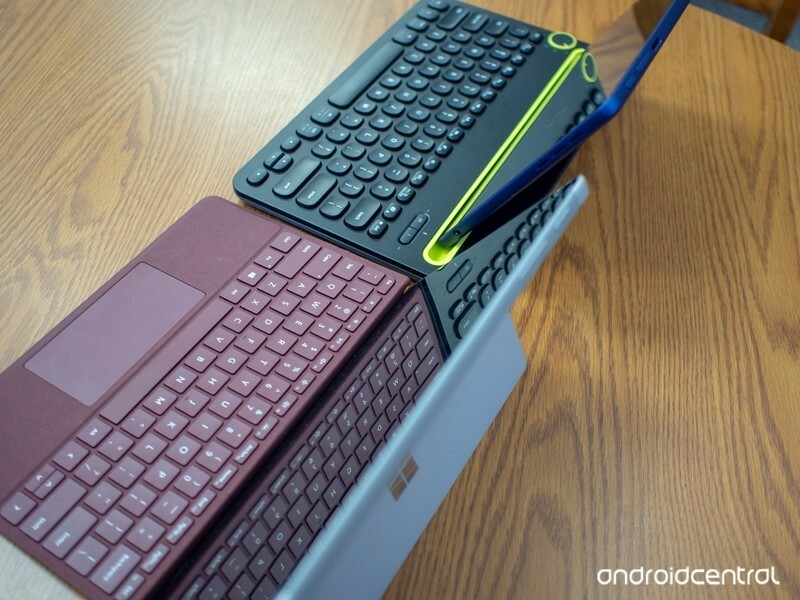 Microsoft offers several options for the keyboard cover starting around $100, but I went with the slightly more expensive $130 Alcantara cover in maroon. Because when you are offered an accessory in Alcantara, you buy it. End of discussion. There are no Chromebooks which look and feel this nice in this price range. Google makes the infamous Pixelbook, but the $1,000 price tag hardly makes sense to compare here. In this price range, Chromebooks tend to be black or white plastic. The $539 HP Chromebook X2 is almost exactly the same price as a Surface Go with a keyboard attached, and you get the benefit of a 13-inch display over the smaller 10-inch Surface Go. Naturally, that size increase means a weight increase though, which makes the Surface Go a more portable option. Another solid comparison is the Acer Chromebook Tab 10, which is a standalone Chromebook tablet with no keyboard priced at $339. Comparing Acer’s design to what Microsoft has created with the Surface Go is mildly akin to comparing a cardboard box with wheels to a Tesla. To say Microsoft’s design in this category is unparalleled really feels like I am underselling it. To say Microsoft’s design in this category is unparalleled really feels like I am underselling it. Under the hood, the Surface Go is packing a fanless Pentium Gold CPU with 4GB of RAM and 64GB of onboard storage. While most Chromebooks tend to lean on lower powered processors, the specs sheet on your average modern Chromebook is fairly comparable to the Surface Go. The same goes for the display, Microsoft’s 1800×1200 resolution display with touch input is pretty close to what you’ll find just about everywhere else these days. Where the Surface Go really stands out is the Surface Pen, which you also have to buy separately. Several Chromebooks come with pen input, but none of them offer the accuracy or quality of what Microsoft has built with the Surface Pen. Battery life on the Surface Go does not hold up to your average Chromebook. Microsoft claims “up to 9 hours” with the Surface Go, where most Chromebooks push 10-12 hours of use with no problem. But again, this is a compromise made to achieve the size this tablet PC currents sets in. If there was a Chromebook made in the shape and size of a Surface Go, it wouldn’t likely be capable of the same 10-12 hour push. I’m not sure how much that matters to people buying things for classrooms, but for someone like me who appreciates having an ultraportable machine to take places the size and weight really does matter. Apps are all that matter. When you set up a Chromebook for the first time, it takes about three minutes. When you already have a Google account and have already used a Chromebook before, that set up time is cut in half. Google’s minimalist approach to Chrome OS makes it so ridiculously easy to set up a Chromebook it makes everything else feel slow and terrible, and the Surface Go is no exception. Setting this computer up the first time took almost 20 minutes, and when that was done what I got was a version of Windows that was almost useless to me. Windows 10 S doesn’t allow you to install anything that isn’t in the Microsoft Store, and the contents of the Microsoft Store still isn’t great by modern standards. Fortunately, switching from Windows 10 S to Windows 10 Home is much easier than it was when the Surface Laptop was released, but by the time this computer was ready to actually be used a full half hour had passed. You’ll find a lot of reviews for the Surface Go saying very nice things about the performance of the computer throughout daily use, but an important caveat of those reviews is they are all using the higher end and more expensive version of this machine. The base model claims to be faster than the Surface 3, but my testing yielded different results. If I had three or four Chrome tabs open with Slack running in the background, a fairly standard set up for my workflow, the Surface Go would slow down considerably. In some places, there would even be a lag between my pressing keys on the keyboard and the letters appearing on the screen. Running the same test with Edge instead of Chrome, I was able to have five tabs open before the same problem would occur. This computer is clearly not a workhorse, but I consider the workload I put this machine under to be quite modest. And, to be frank, I can do the exact same thing on a Chromebook or an iPad Pro and never see a moment’s problem. Chrome OS is much closer to a mobile operating system than Windows, and that reflects in how apps look and feel. Part of the difficulty in comparing a Surface to a Chromebook is the way apps run is so very different. On a Surface, everything is a PC app built for Windows and not necessarily optimized for lesser processors or systems with less RAM. On a Chromebook, everything is either built to exist as a mobile app and optimized for a mobile processor or exist in the highly optimized version of Chrome built for this OS. Chrome OS starts out as a browser and lets you add things on, and the apps simply don’t need the kind of processing power you get from a traditional desktop CPU. Because Windows is trying to fit a legacy experience into a modern hardware profile, these software struggles can be exaggerated based on how modern or optimized the apps you need are. Chrome OS has the opposite problem, the apps are all going to run pretty well, but because most of them are built for phones they don’t always look great on a giant tablet screen and in some cases refuse to orient correctly to the angle you are holding your Chromebook. The benefit to Microsoft’s legacy approach is clearer when doing things you simply can’t do on a Chromebook. I’m currently running a full version of Adobe Lightroom on the Surface Go, where I have to use the mobile-focused Lightroom CC on my Chromebook. I can use either fairly interchangeably, and Lightroom on the Surface Go is fairly slow when I’m processing multiple images, but having access to every feature is occasionally important to me, and is only possible with the Desktop version of this app. A less niche example can be found in gaming. 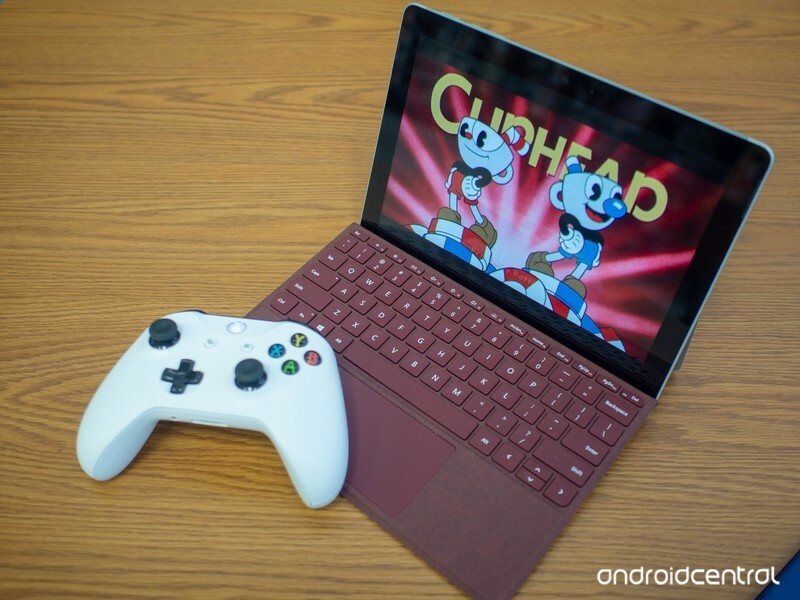 Through the Xbox Play Anywhere system I’m able to install the Xbox One game Cuphead on my Surface Go, pair an Xbox Controller, and play Cuphead literally anywhere and have that game feel exactly the same as it does on my TV at home. That obviously doesn’t work for every Xbox Play Anywhere game, but it does work on a significant number of games in the Steam Store, which is not something I can say for Chromebooks. This isn’t a great example for a school environment, but it makes me happy knowing I can pack a controller with me places and have a good time. Overall, I am thrilled with this Surface Go. I think Microsoft has come a long way from the Surface RT, and really made something great for people who want something portable and a little less expensive than a standard Surface. This is a fantastic piece of hardware, and there are things about Windows 10 you straight up can’t replicate in Chrome OS. That having been said, I wouldn’t recommend this base model to anyone. The model with 8GB of RAM is clearly the model people should buy, but by the time you add a keyboard you’re spending close to $700 and that just doesn’t fit the market. You can buy two of the Acer Chromebook Tab 10 units for the same price, and schools are going to notice that sort of thing when it comes to buying for a group. There’s also less overhead in setting up and maintaining a Chromebook, which is not a small detail for schools. If you’re looking for a small, lightweight Windows machine there’s no doubt the Surface Go is the nicest option available today. But if all you want is an all-day portable workhorse on the cheap, you still can’t beat a Chromebook. 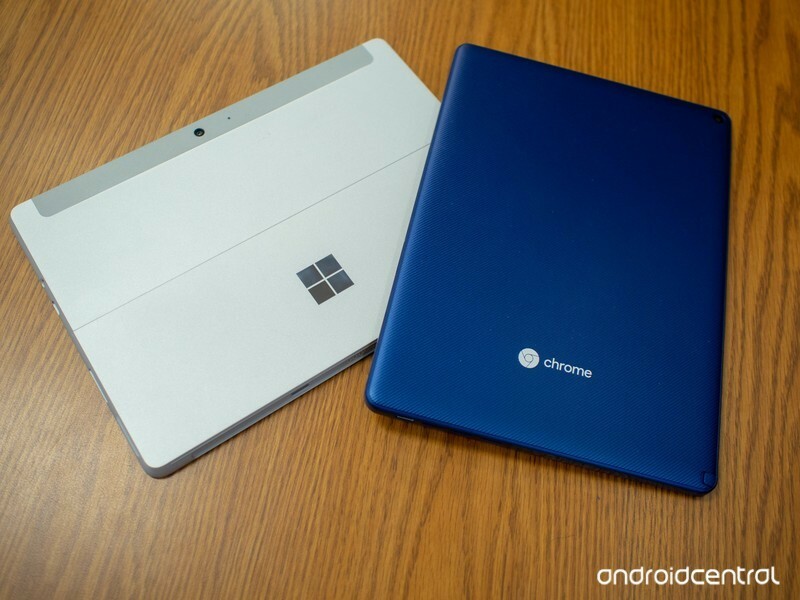 Check out the best Chromebook for your in our handy review guide! Prices range from $255 – $275. Wear OS has been in a slump for over a year now, but thanks to the new TicWatch Pro and talks of big improvements coming later this year, things are starting to look up for Google’s wearable platform. 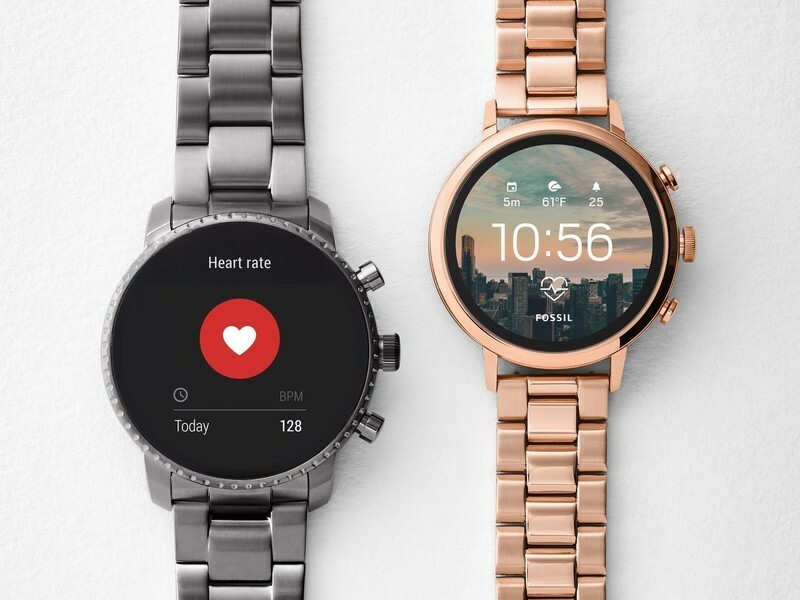 Amidst all of the Android Pie announcements yesterday, Fossil quietly unveiled two new Wear OS smartwatches — the Fossil Q Venture HR and Fossil Q Explorist HR. Both watches feature traditional metal designs with round displays, and no matter which one you get, there are a number of colors and watch band styles to choose from. The Fossil Q Venture HR and Fossil Q Explorist HR are up for pre-order right now on Fossil’s website with prices ranging from $255 – $275 based on the color/band you pick. 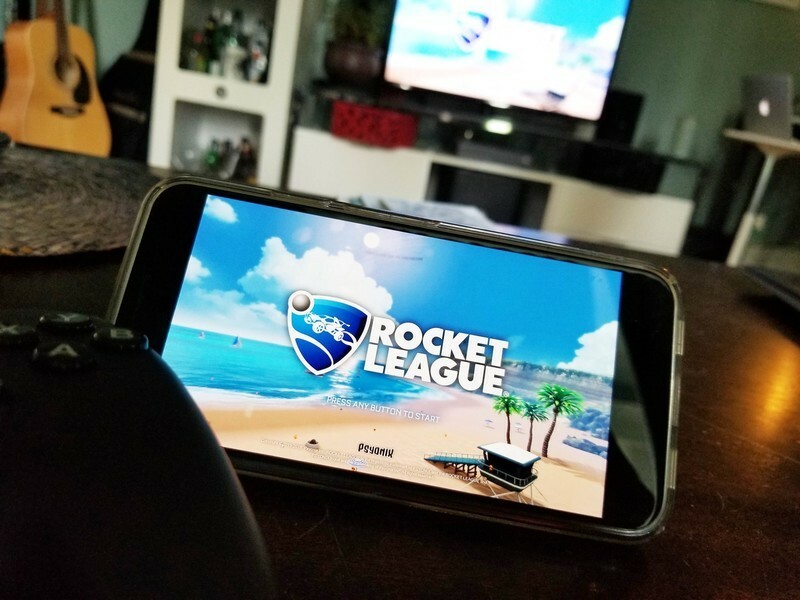 Steam Link lets you play PC games on your phone, and it works surprisingly well! The Steam Link mobile app is like a dream concept for anyone who’s ever thought how neat it would be to play PC games on your phone. In an age of gamer phones and the Nintendo Switch offering outstanding options for gaming on the go, whatever clear distinction there was between “gaming” and “mobile gaming” is disappearing fast. 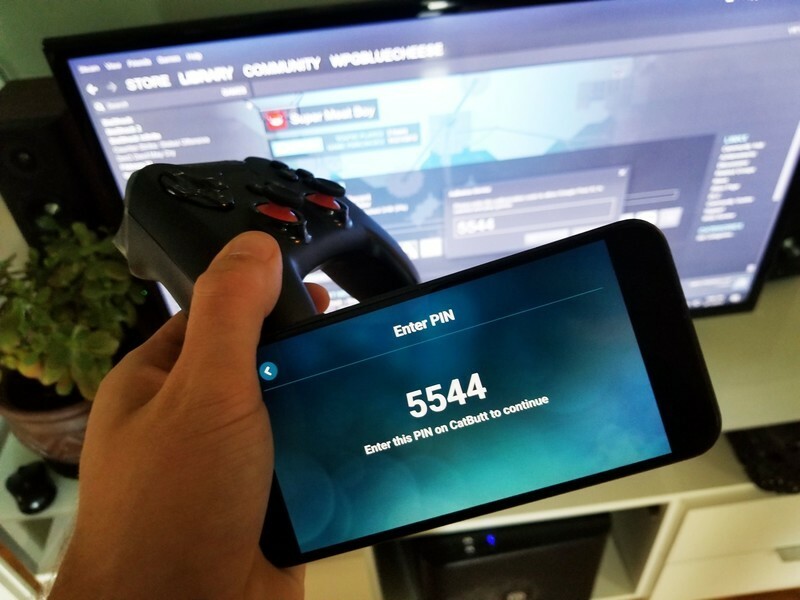 Valve’s contribution with the Steam Link app to let you stream your favorite Steam games from your PC to your mobile phone over a Wi-Fi connection. It’s still very much beta software, but it’s functional and available in the Play Store so I had to give it a run. The first thing I’ll say is that I’m really surprised how easy it is to set up. To create a connection you need your PC and phone to be on the same network and you’ll also need a controller to pair with your phone. The app recommends a Steam controller, but any Bluetooth controller should work (I use the SteelSeries Stratus XL). Setting up the connection is dead simple, as the app walks you through the steps each time you load it up. You’ll need to pair your phone to your PC using a unique code generated on Steam on your PC, and once the connection is made your PC will start displaying the in-home streaming menu interface. My Steam library is fairly sparse, but I was able to load up Rocket League and Gonner which I figured would be good games to test as any amount of input lag would ruin the experience of gaming online or the precise controls needed for a platformer in a hurry. Steam Link is dead simple to set up and a blast to play when the wireless connection is solid. When the connection was strong and there was no noticable lag, playing games using Steam Link was a blast. 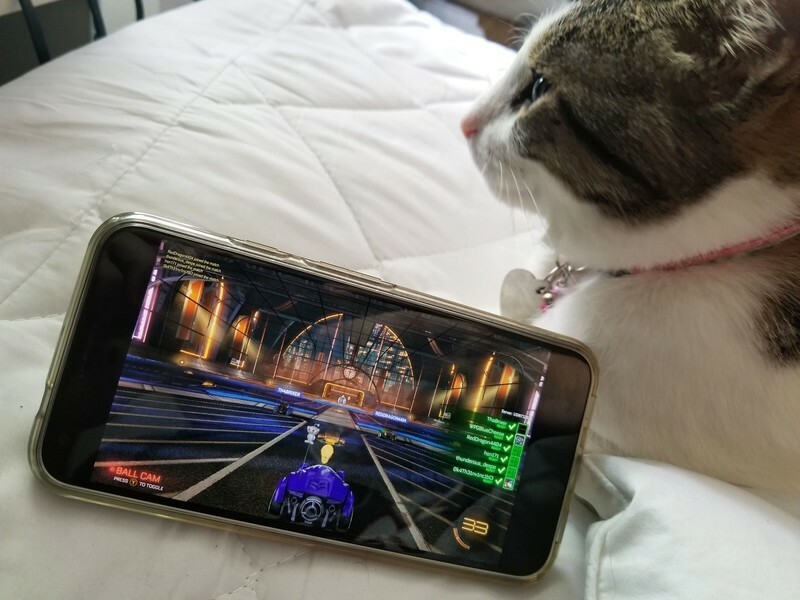 I couldn’t help wondering if my Rocket League opponents would be extra salty knowing that I was scoring on them while playing on my phone — or what my teammates would think when the app would glitch up for sometimes 30 seconds at a time and my car coasted aimlessly around the arena. In my experience, the app never crashed and while the action hung up every once and a while it always came back and seemed to be more an issue with my internet connection than an issue with the app itself. Overall, I found the setup process dead simple and the results to be satisfactory overall for an app still in beta testing, but the one thing that I had the most difficulty figuring out is real life scenarios where I would actually use this app. The novelty of being able to play PC games on your phone feels redundant when you know your phone is just mirroring another larger display in your house. The first time I tested the Steam Link app, I stayed in the room with the computer and caught myself looking up at the monitor to play instead of down at my phone — which really defeats the purpose of linking the PC to my phone, no? It got me thinking: if you’re at home and wanting to play computer games, what exactly would compel you to use Steam Link? It’s not like your PC is freed up from running the game itself, and it’s not like it frees you up to play in your backyard as you need your Wi-Fi signal strength as strong as possible to avoid lag. To get the most out of Steam Link, you need to justify a reason to use it in the first place. But as it happens, the following day my roommate had set up in the computer room to recording some music on her laptop, so I quietly set up the Steam Link connection on the PC and retreated to my room to test the app. Had my roommates wanted to use the PC while I was gaming I would have been out of luck, but in this specific instance, Steam Link made sense and let me game without disturbing my roommate. Beyond that, I guess you could also use Steam Link to play PC games on the toilet or while you take a bubble bath (which sounds quite nice, actually), but again in its current state and given the restrictions of needing to stay within your home Wi-Fi network, I’m still not sure how much practical value the Steam Link app offers to gamers outside of the novelty of it all. Valve’s impact on gaming is well-documented. Since launching Steam back in 2003, it’s been the de facto destination for PC gamers eager to discover and download new games and the Steam community has become a great place for developers to get direct feedback and help from one of the gaming industry’s biggest distributors. At its core, the Steam Link app is basically just a screen sharing app that casts your PC’s display to your phone — if you click an in-game link to a website you’ll be taken out of the game to your web browser on your PC desktop — but it does it really well and lets you sync up PC gameplay on your phone that looks and plays great when it’s working but is more than a bit frustrating when it lags. It’s a huge step for gamers everywhere, though, as technology like this is bound to improve over time. Have you tested out the Steam Link Beta? 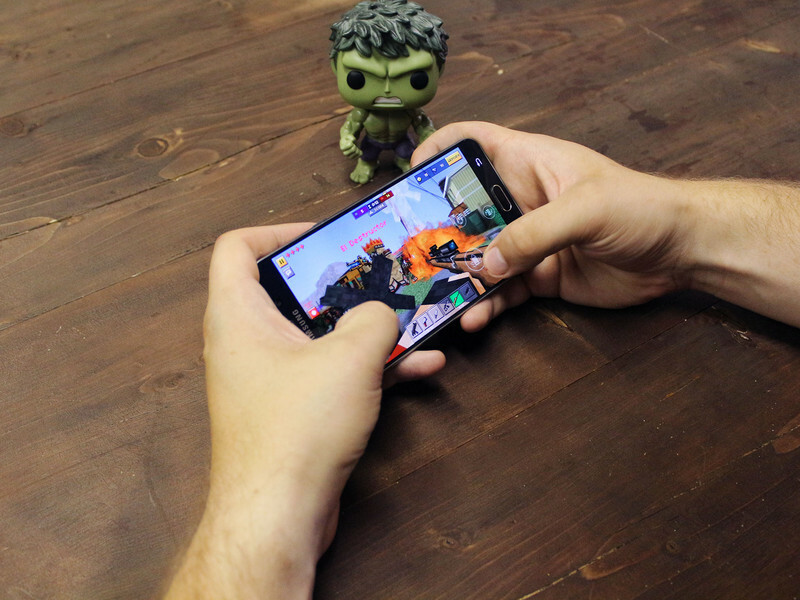 Let us know your thoughts on this new way of gaming on Android! What’s the best game you’ve tested? Accordingly, while the 2019 CX-9 is Mazda’s second CarPlay vehicle to be announced, it will be the first to roll off the lot brand new with factory-installed CarPlay and Android Auto in the United States.